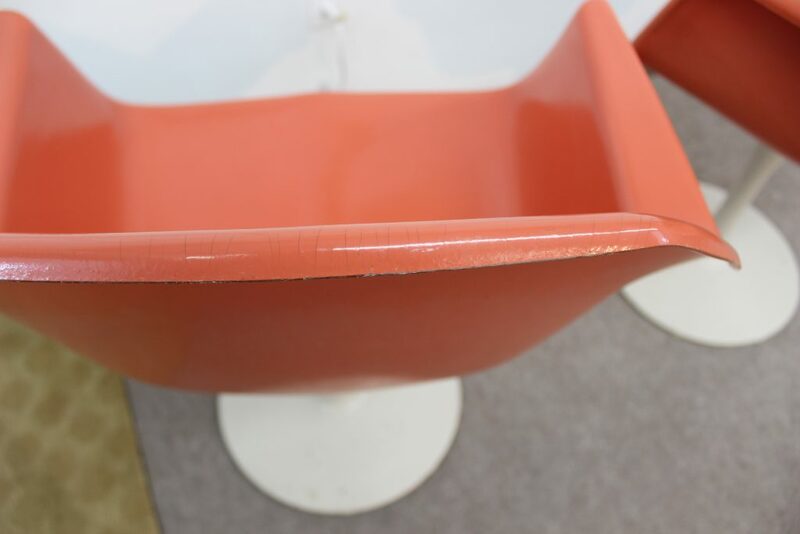 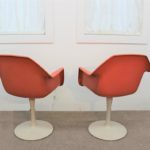 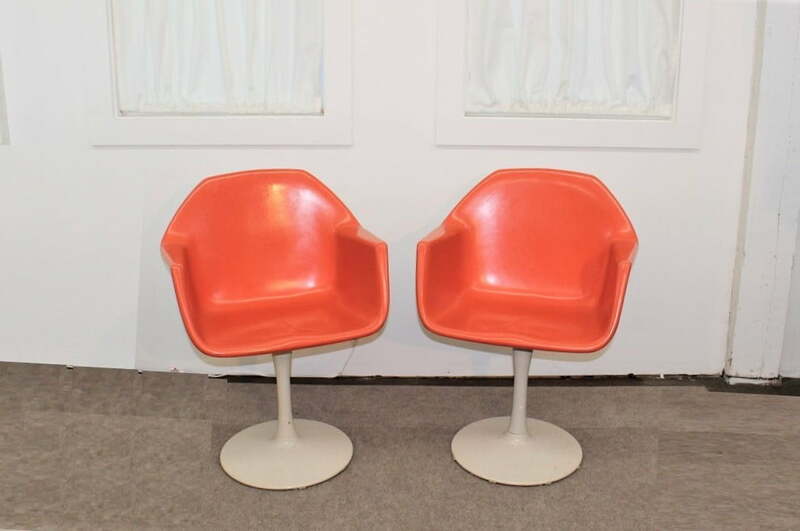 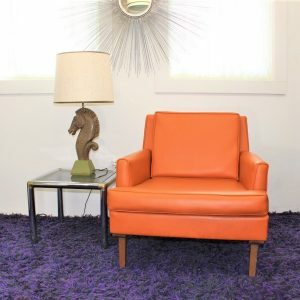 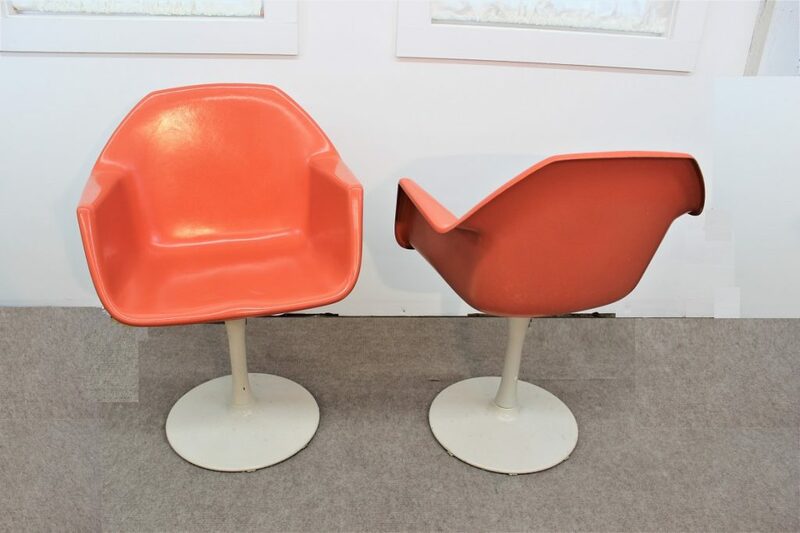 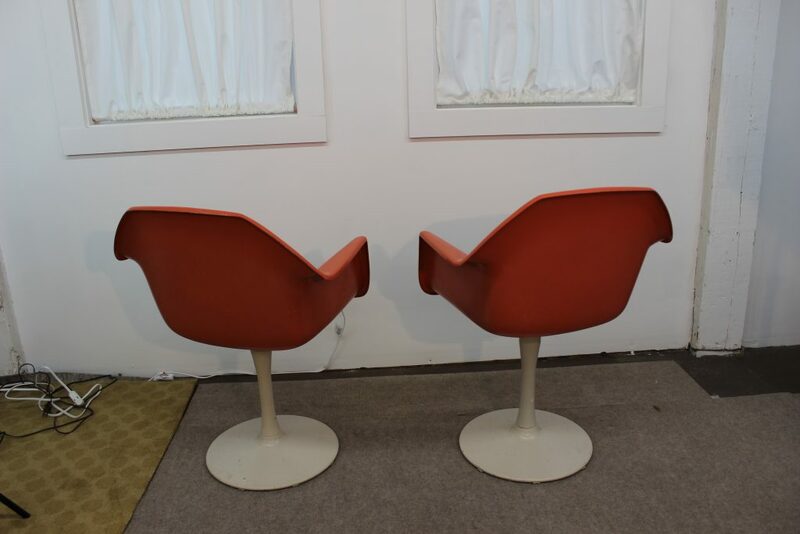 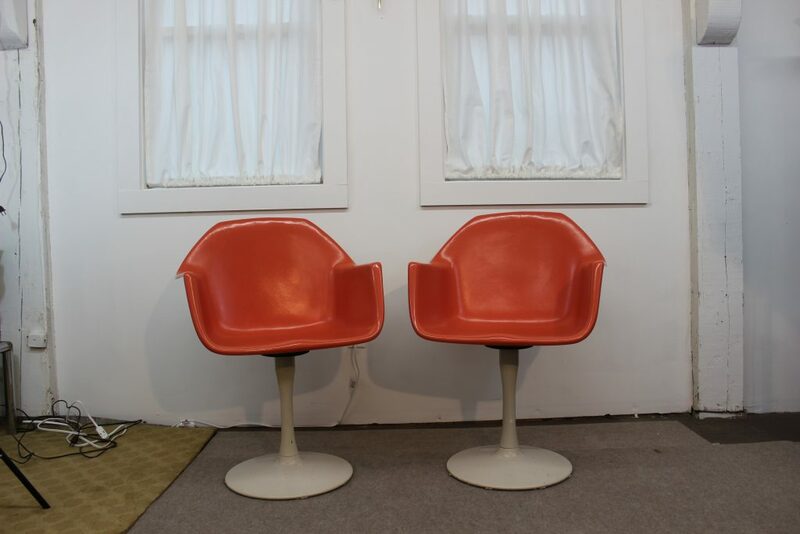 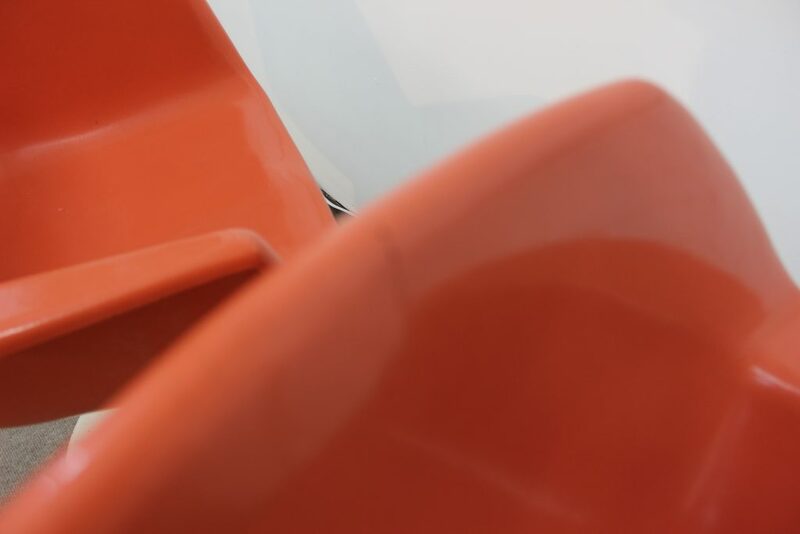 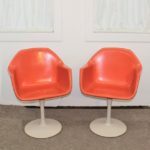 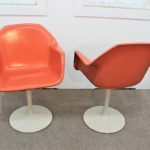 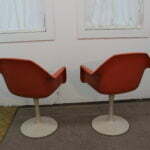 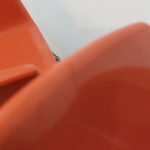 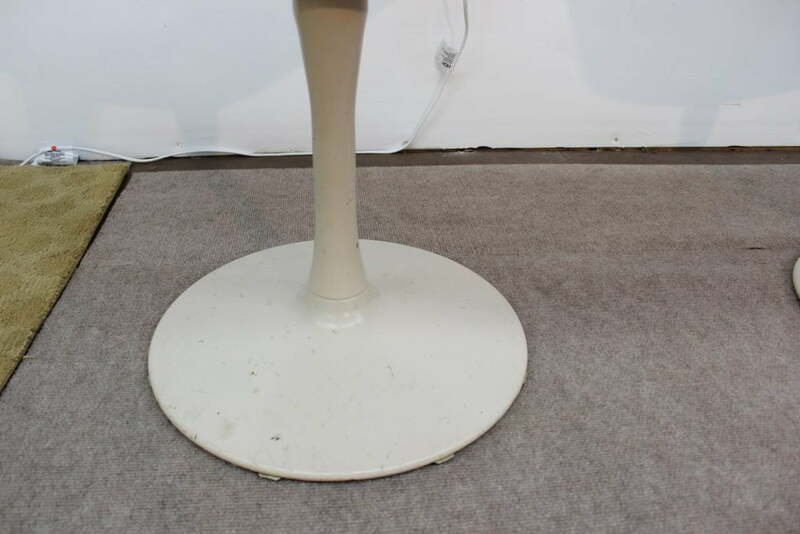 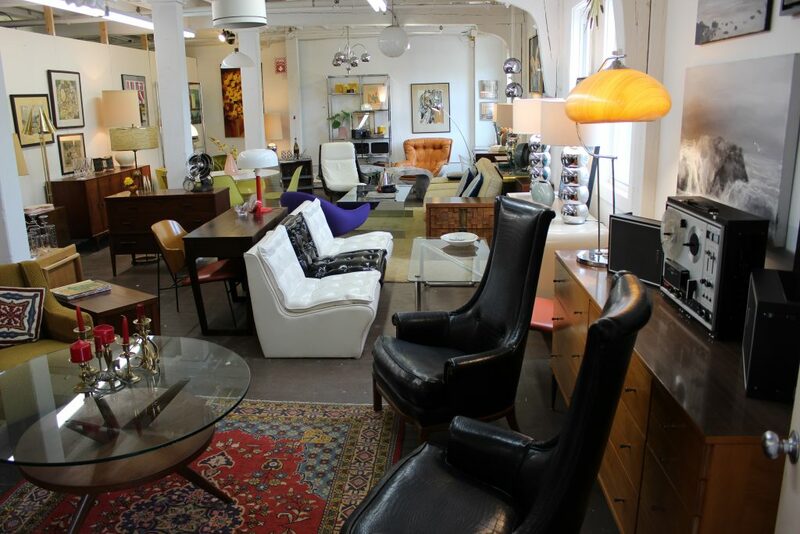 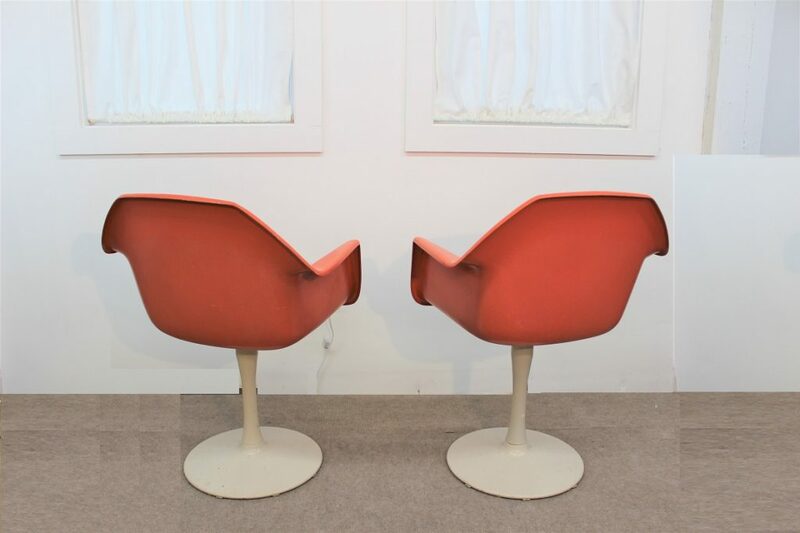 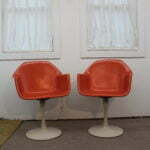 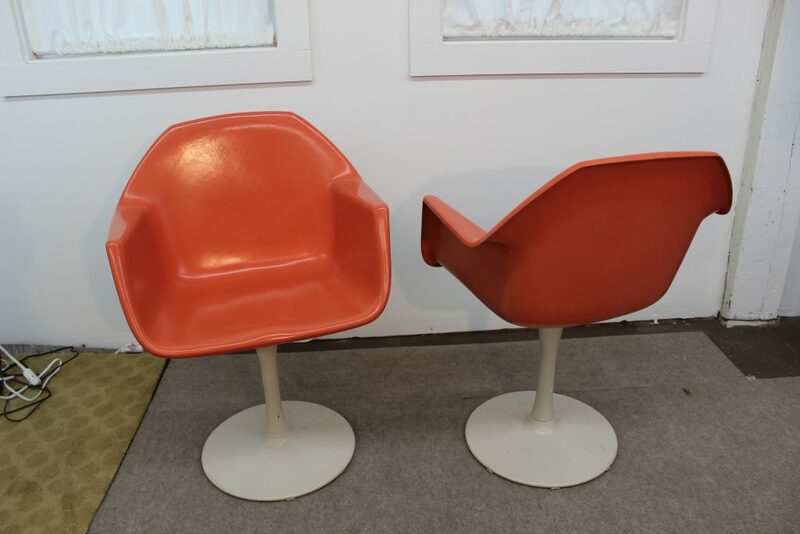 These beautiful and sleek fiberglass tulip base chairs are in great vintage condition. 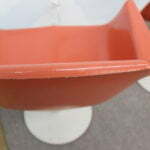 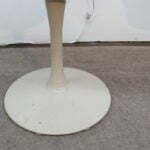 The bases are cream color and the fiberglass has an orange / coral color. 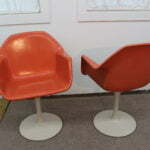 For their age they are in great condition, the bases have some spots but no major chips on the paint. 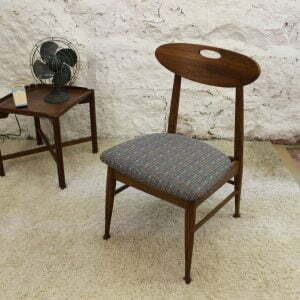 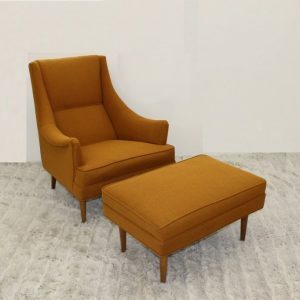 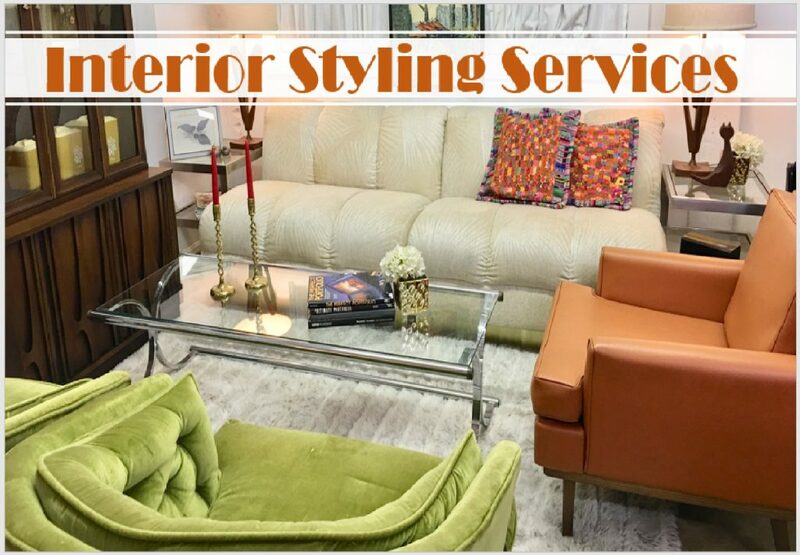 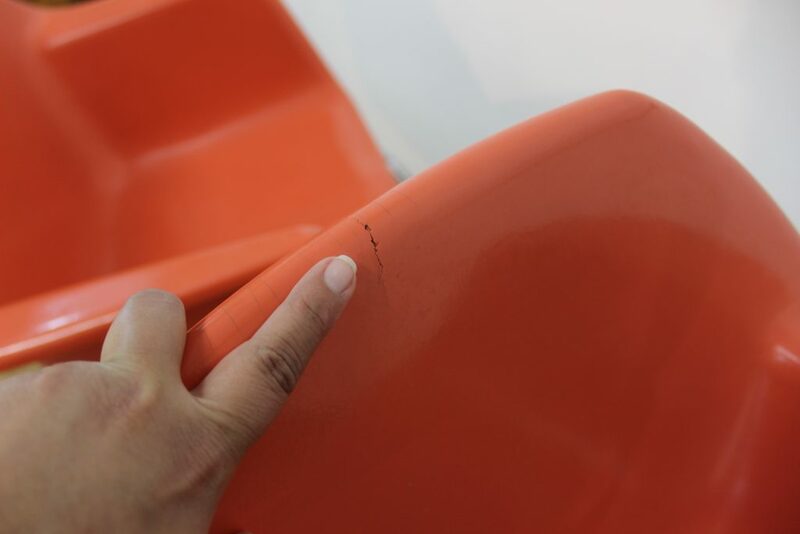 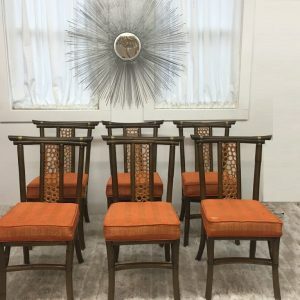 The bodies have some minor cracks on the top part of the backrest as it is very common on these chairs. 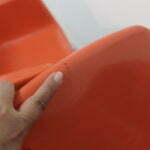 They measure 33″ to the back rest, 25″ arm to arm, and 22″ front to back. 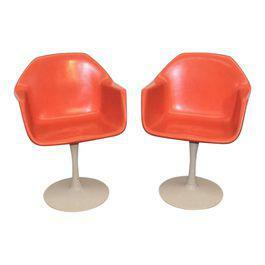 They can add a nice touch to any kitchen or dining set.